The Soft Flex™ Silicone Weaning Spoon is soft and flexible, making it ideal for feeding your baby their first solid foods. The soft silicone is perfect on tender gums and new teeth. The Soft Flex™ spoon makes it easy to clean excess food from around your baby’s mouth and the deep bowl allows you to easily scoop the desired amount of food for your baby. 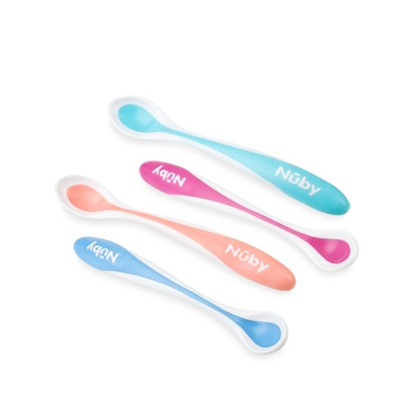 Nuby has become my go-to brand when shopping for my Grandsons! 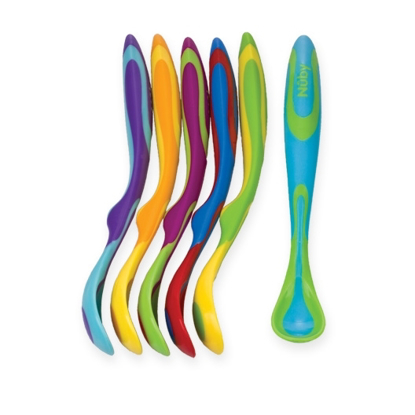 These spoons, like all their other products, are all around the best for feeding!